Union City, Ga – January 14, 2019 – Cooper Roman, a Boy Scout and Peachtree City resident, recently built and installed four Little Free Libraries on the campus of Christian City. The libraries are located outside each of Christian City’s three Active Senior Living patio home clubhouses and next to the Dog Park. Christian City’s senior residents are excited about the libraries. They provide meeting places for neighbors to connect and share their favorite books as they take one and leave one. Cooper first learned about Christian City during his family’s search for housing for his grandfather. “My mom has also volunteered at Christian City and given presentations there,” Cooper said. His work on the project at Christian City contributed to earning his Presidential Service Award. Cooper has been in Scouting since third grade. He is a sophomore at McIntosh High and a member of the school’s lacrosse team. 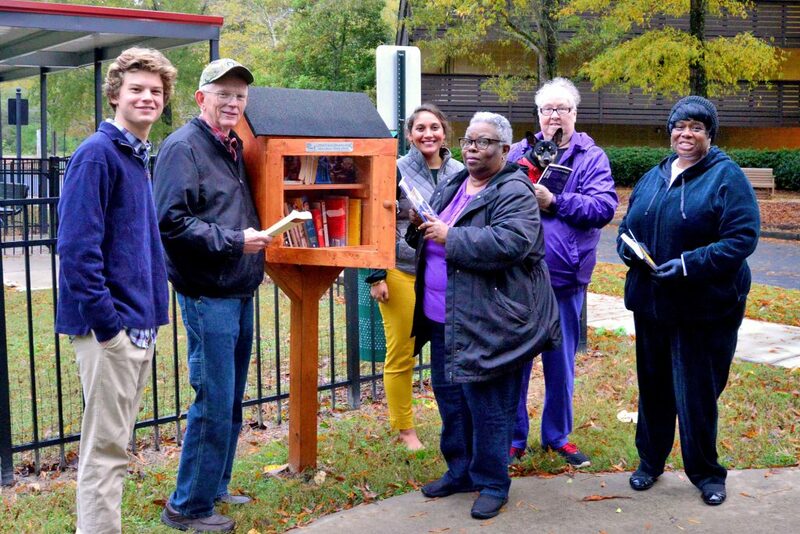 Little Free Library is a nonprofit organization that inspires a love of reading, builds community, and sparks creativity by fostering neighborhood book exchanges around the world. A Little Free Library is a small, freestanding box with two shelves that hold books, providing 24/7 access to encourage reading. Through Little Free Libraries, millions of books are exchanged each year, profoundly increasing access to books for readers of all ages and backgrounds. More info at www.littlefreelibrary.org. Christian City was established more than five decades ago when the first cottage for abused and abandoned children opened on Valentine’s Day, 1965. Today, there are more than 1,000 residents, both children and older adults, living at Christian City, a nonprofit organization that depends on the generosity of donors for financial support. The 500-acre campus, located 15 minutes south of Hartsfield-Jackson Atlanta International Airport, includes the Children’s Village Residential Program, Safe Place Program for Runaway & Homeless Youth, Thrive Graduate Transition Program, Crossroads Foster Care & Adoption Program, patio homes and apartments for active seniors, a thrift store, skilled nursing center, assisted living center, memory care, home health and hospice care. Individual and group volunteer opportunities available. More info at www.christiancity.org or call 770-703-2636.
Cooper Roman, a Boy Scout and Peachtree City resident, recently built and installed four Little Free Libraries on the campus of Christian City. 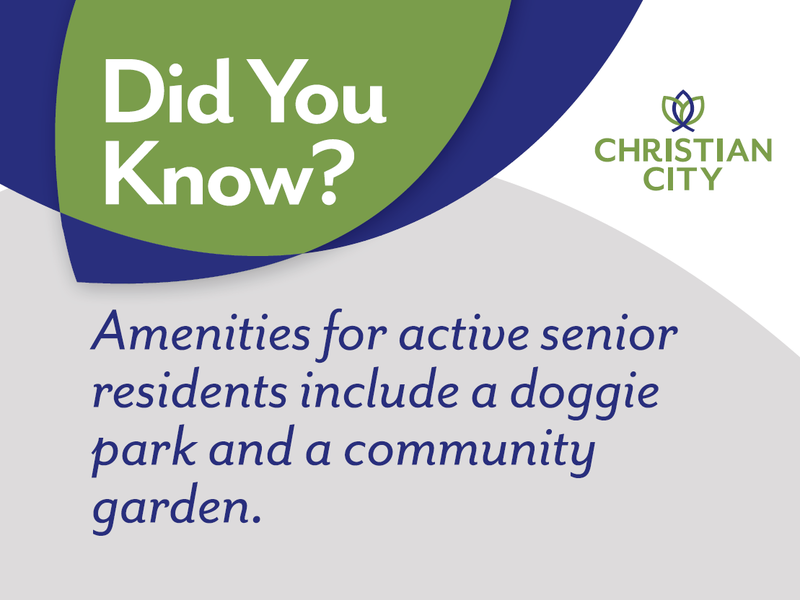 Cooper is pictured with several active senior residents and staff at the library located next to the Dog Park. From left: Cooper Roman, Danny O’Neal, Tyler Wright (Director of Campus Recreation), Arlene White, Gloria Kerns (with her dog Zippy), and Renee Trice.